Fifteen years after his eye-opening book, The Battle for the American Church revealed what Monsignor Kelly called a "guerrilla-type warfare going on inside the American Church", he now revisits that battle within the Catholic Church and the struggle to change its mission, its nature and its Gospel. Any attempt to deify progress and look at modernity as a goal in itself is vain and empty. The various essays in this book examine this theme. Rutler provides a theological and sociological commentary on the bankruptcy of progressivism. Ten years after his best-selling book, A Crisis of Truth, Ralph Martin has again taken a look at the situation of the Catholic Church throughout the world from a quite different angle, and has offered a persuasive analysis of the spiritual factors at the heart of both the Church's difficulties and the hoped for renewal. In what reviewers have called an "awesome" marshaling of vital information about the Church's condition around the world, Martin puts us in touch with information that most of us have no access to, but is vital for understanding "what the Spirit is saying to the Church today." This book doesn't just leave us with an impressive and startling look at the Church's actual situation. It shows us how we can respond to what we see in a way that can bring great blessings to all. This book is an amazingly rich source of documentation of what actually is happening in the Church around the world as well as an inspiring presentation of the great power of faith, hope and love to "conquer the world." While focused on the situation of the Catholic Church, much of what the book deals with is relevant to Christians in other churches as well. A ``must read'' if we are to be ready for what awaits us at the end of one age and the beginning of another. "Ralph Martin has given us a timely, challenging, and provocative analysis of Catholic life. While the statistical and analytical evidence of the Catholic crisis is overwhelming, it is the penetrating power of the answer or solution that dominates the book and equips the reader with hope. An impressive and prophetic work. I heartily endorse it." Theologian Joyce Little examines the conflict between American secular culture and the Catholic faith, helping Catholics to understand why such a conflict exists and what is at stake for both Catholics and all Americans. The book looks at the feminist movement because feminism exemplifies in so many ways that relativism and individualism which characterizes the thinking of so many Americans today. Little argues that the secularism of our times is fundamentally anarchic and nihilistic and, as such, constitutes a frontal assault on the Catholic faith. As we approach the end of the second Christian millennium, Fr. George Rutler takes a penetrating look at the moral and spiritual condition of late twentieth-century society and the Church. He analyzes how moral weakness has been the bane of this era, and he shows that what we most need to counteract this are saints who practice heroic virtue in their daily lives. In this groundbreaking new book, Jones shows how some of the major determining leaders in modern thought and culture have rationalized their own immoral behavior and projected it onto a universal canvas. The main thesis of this book is that, in the intellectual life, there are only two ultimate alternatives: either the thinker conforms desire to truth or he conforms truth to desire. In the last one hundred years, the western cultural elite embarked upon a project which entailed the reversal of the values of the intellectual life so that truth would be subjected to desire as the final criterion of intellectual value. In looking at recent biographies of such major moderns as Freud, Kinsey, Keynes, Margaret Mead, Picasso, and others, there is a remarkable similarity between their lives and thought. After becoming involved in sexual license early on, they invariably chose an ideology or art form which subordinated reality to the exigencies of their sexual misbehavior. "Degenerate Moderns is a marvelous tour de force. Jones provides the reader not only with an overview of the sources of modern culture but also with a way of understanding what otherwise might seem simply surprising--at the root of many of the most influential books and theories lies the sexual problems of their authors. Sophisticated, informative and learned as this book is, it can be read as a high level corroboration of what your mother always told you. Jones is one of the most readable writers I know." -- Ralph McInerny, University of Notre Dame "A fascinating blend of biography, intellectual history, and investigative reporting. This book takes up where Paul Johnson's Intellectuals leaves off. 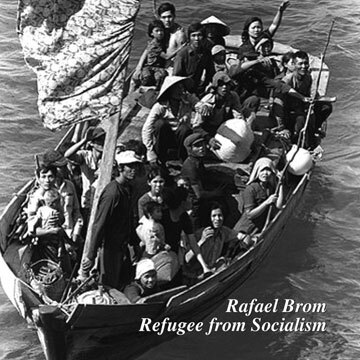 It should be required reading for anyone who wishes to understand the intellectual fashions of the Twentieth century." Following up his best-seller, Degenerate Moderns, Jones reveals how major figures connected with modern music projected their own immorality into the field of music which has been the main vehicle of cultural revolution in the West. For the first time ever, a unified theory of music and cultural revolution links the work of figures like Wagner, Nietzsche, Schönborg, Jagger and others to show the connection between the demise of classical music and the rise of rock 'n' roll. Beginning with Nietzsche's appropriation of Wagner's opera Tristan and Isolde, music became the instrument for cultural upheaval. What began at the barricades of Dresden in 1849 found its culmination at Woodstock and Altamont and the other Dionysian festivals of 1969. Jones shows the connection between the death of classical music and the rise of the African sensibility which Nietzsche saw as the antidote to Wagner prostrating himself before the cross in Parsifal. Feminist Theology: What is it? Where Does it Lead? This important book probes the theological and historical roots of clericalism that has affected the Catholic laity, along with contemporary expressions of clericalism. The English or French essay has been in many ways the most delightful of literary expressions. Moreover, the essay has been particularly adapted to Christianity, to its concreteness, to its awareness of the importance not just of ideas or thoughts, but of little things, particular moments wherein salvation and joy more especially take place. Idylls and Rambles takes its title from the two journals of Samuel Johnson, The Idler and The Rambler. Johnson was the most insightful and original of men. Too, this book takes its form, the number of its chapters, from Belloc who loved the essay and who wrote so charmingly and profoundly about everything he saw. These particular essays are moments Father Schall has seen, people he has known. They are often lightsome, yet they bear the sense that it is in joy that our most perplexing moments occur for joy, more than sadness perhaps, leads to the highest things in which we exist. Following up his best-selling books Degenerate Moderns and Dionysus Rising, E. Michael Jones completes the trilogy as he reveals in this book how modern architecture arose out of the disordered moral lives of its creators. Beginning with the simultaneous collapse of both his marriage and the Austro-Hungarian empire, Walter Gropius formulated an architectural rhetoric that would speak to the needs of the newly emerging modern man. As a sexually liberated social monad, modern man would have no need for home or family, no need to be rooted in a particular time or place. He was to live henceforth in the "international style." Soon that deeply materialistic, sterile architectural vision would conquer the world. From the suburbs of Moscow to the south side of Chicago, the new man would live in machines--living machines, to use Gropius' words. Living Machines is an explanation of where that vision came from, where it led, and why it ultimately failed. Illustrated. 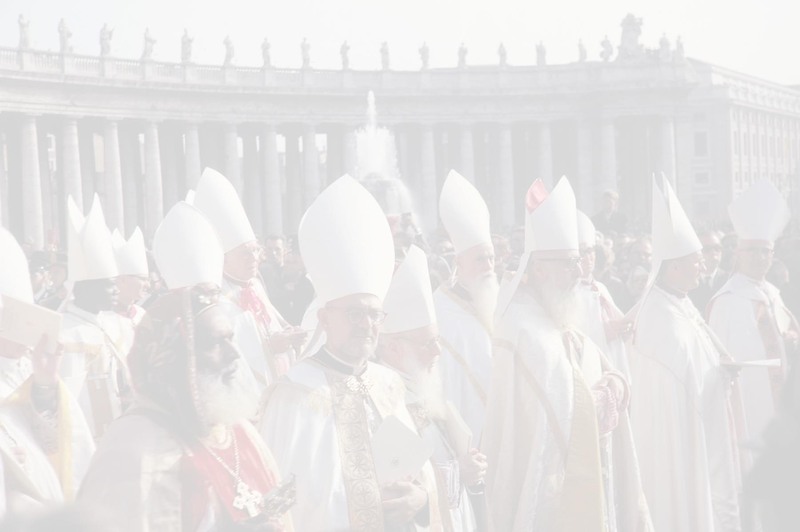 Many experienced teachers, theologians and evangelizers spell out a vision and strategy for implementing at the local level the "new evangelization" called for by Pope John Paul II. Leaders like Ralph Martin, Avery Dulles, S.J., Fr. Tom Forrest, Chuck Colson, Susan Blum, and many others give sound, practical insights on evangelization for all who want to heed the Pope's call to proclaim the good news in preparation for the year 2000. Feminism and related ideologies have exerted unparalleled influence on organized religion--and on nearly every other aspect of Western culture--for about three decades. Nowhere is evidence of this dominant influence more obvious than in worship of the liberal mainline denominations. The transformation of the language of worship began almost imperceptibly with relatively peripheral liturgical elements, such as prayers incorporating approved feminist language and concepts, and with "corrected" lyrics to existing hymns and words of prayers.Encountering no effective resistance to these achievements, the feminists' objective of radical destruction of ``oppressive, patriarchal'' religion has now accelerated into an all-out attack on the Scripture and on the core beliefs it incorporates which are common to both Christianity and Judaism--essential beliefs about the nature of God, of the nature of mankind's ``imaging'' of God, of the meaning of human sexuality and of the relationship of men and women with one another and with God. According to their view, the power of these teachings (the Judeo-Christian ``Myth'') must be destroyed--and not only destroyed, but replaced with a changeling Myth concocted to conform to their own politically charged notion of reality and presided over by a god (or goddess) of their own construction and which they claim the right to name. So far there has been sparse and ineffective resistance to the relentless undermining of the worship of God. The contributors to this timely and critically important volume include Catholic, Protestant and Jewish believers, men and women, scripture scholars, theologians, translators, linguists, poets, clergy and laity who have in common, in addition to a shared regard for and interest in the integrity of language--an unambiguous affirmation of their religious faith, and a clear-eyed and objective view of the nature of the Cosmic War in which we are all now engaged. These essays offer important insights into the function of language and objectives of translation, as well as penetrating analysis of the effect of ideologically motivated linguistic innovations on new Scripture translations and on the worship of God. Cardinal Ratzinger speaks candidly and forcefully about the state of the Church in the Post-Vatican II era. Cardinal Ratzinger addresses the challenges and responsibilities that both the Church and society in Europe face after the collapse of Marxism. Both liberalism and Marxism have denied religion the right to have any influence on public affairs and the common future of humanity. Since there is also a great spiritual emptiness growing in the West with the increased secularization, consumerism and hedonism, Ratzinger's comments apply as much, if not more, to the United States as well. With the downfall of Marxism, religion has been discovered anew as an ineradicable force for both the individual and society. While there is renewed interest in religion, the dangers also exist to lay hold of religion as an instrument to serve various political ideas. Ratzinger, whose theological work has often dealt with the "reasons for our faith," reflects upon the various problems facing humanity at this turning point of our history and offers genuine hope based upon a deep Christian faith. He also addresses the critical role that the Church has in relationship to the world and the essential task of bringing Christ back into our culture. Written by a Catholic journalist who has investigated feminism on its own ground, this remarkable book fully exposes the hidden face of Catholic feminism for the first time, revealing its theoretical and psychological roots in loss of faith. Extensively documented, this is the definitive account of a movement impelled by vengeful rage to revolt against all spiritual authority, providing detailed information on Catholic feminist theologians, organizers, the movement's defense of abortion, its connections with witchcraft and New Age rituals, and its disastrous effects on the Catholic faithful. "Steichen's zealous research has produced this incisive critique indispensable for all Catholics confronted or puzzled by this destructive movement." -- Ronda Chervin, Consultant to U. S. Bishops Pastoral on Women's Concerns Donna Steichen, a wife and mother, is a Catholic journalist and teacher who has long been a leader in Catholic, pro-life, community and education organizations. Her numerous articles have appeared in many Catholic and secular publications. She lives in St. Cloud, Minnesota. What Really Happened? - Robert Graham, S.J. The discrediting of Communism as a world ideology also put in crisis a certain way of writing history. The legacy is a massive load of manipulated history with a hidden agenda. One of the victims of this process was the Catholic Church, specifically the Vatican and the Pope. Fr. Robert Graham illustrates with chapter and verse how the Communist interpretation grievously corrupted the record. Communism and its sister ideology, National Socialism, had a radical and venomous hostility to religion. It is time for cleaning up the fallout of the defunct ideologies of World War II. The material developed here is from studies published by Graham over the years in the Rome-based fortnightly La Civilta Cattolica, which was based on research in the Vatican archives and in official archives of Europe and the U.S.
Catholicism does not suggest political systems nor does it disapprove all pragmatic solutions to difficult questions. But conscience does draw a line. The Wethersfield Institute invited sensitive observers of unadorned politics to find the line that conscience draws between the clever and the destructive. Six fine thinkers, Russell Kirk, Russell Hittinger, Fr. Francis Canavan, William Bentley Ball, James Hitchcock and Mary Ellen Bork carried their studies beyond contemporary practice into those particular strengths required of any good citizen, especially a Catholic, wanting to serve the nation through politics and survive the process. Russell Kirk surveyed the concept of the establishment of religion from which Catholics have suffered and, of whose advocacy, Catholics are now oddly accused; Russell Hittinger raises the unthinkable: will a politically hostile majority cause Catholics to decide they have no political home here? Father Canavan asks an intensely personal question of candidate and voter; when does private conscience limit political choice? William Bentley Ball charts the course of judicial tides sweeping religion out of public life; James Hitchcock sifts the moral values in current issues; and Mary Ellen Bork describes pressures that tend to drive persons of principle out of the political world. Acts 4:12. "Neither is there salvation in any other. For there is no other name under heaven given to men, whereby we must be saved."